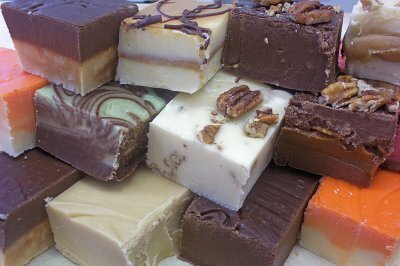 Your choice of vanilla caramel center or chocolate fudge center. 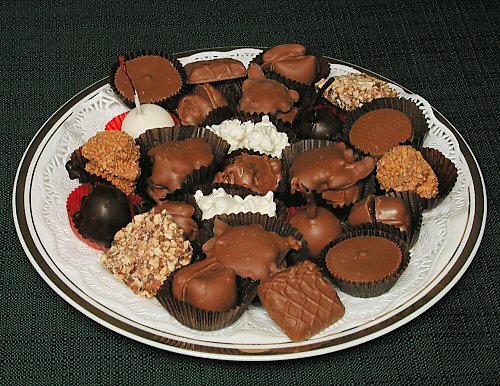 All dipped in rich homemade caramel and rolled in fresh pecans. Comes in a 12 oz. 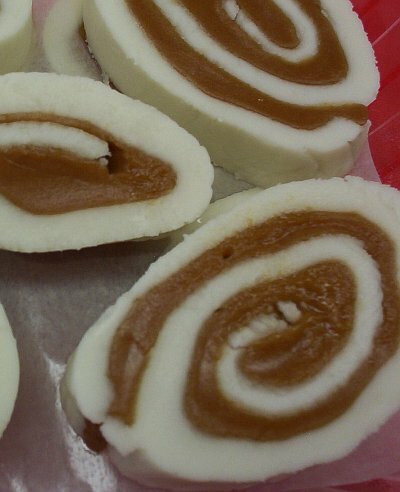 Pecan Roll. 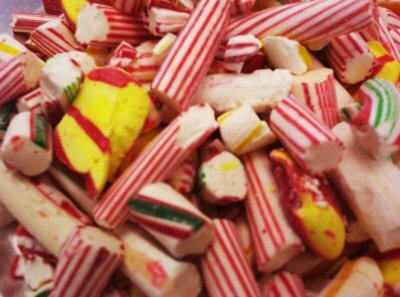 Please choose your center, if no choice is made, the Vanilla Caramel Center will be shipped. 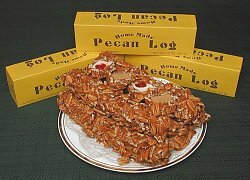 The old fashioned hand rolled pecan logs are great for slicing for parties or just sitting down in the easy chair and indulging yourself in a mouth-watering chewy pecan log roll. Pecan Logs are gift boxed in the yellow box you see.